Repeats every week every Wednesday until Sun Mar 31 2019 except Wed Dec 26 2018. New location, same great program! 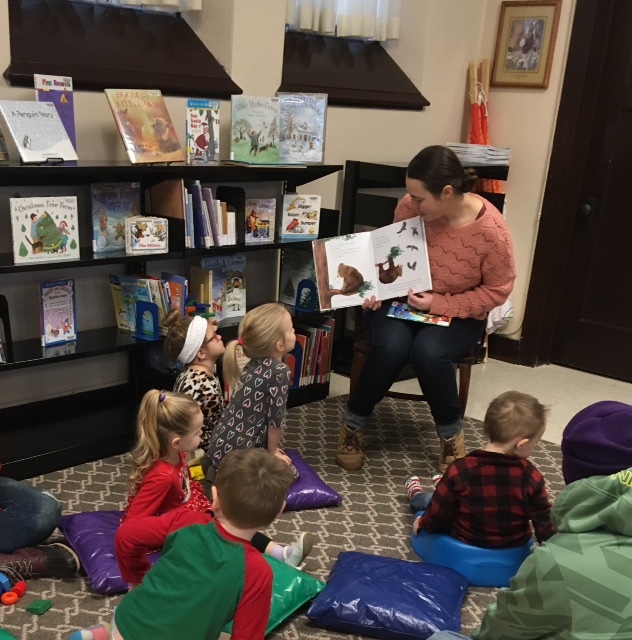 Join us for Story Time in the basement of St John's Church in Rock Springs. We will read a few stories, do an activity or craft, and enjoy a little snack. If your child enjoys being read to, please join us!